The drivers were racing when they struck the 24-year-old woman and her toddler daughter, police are saying. TAMPA, Fla. -- Three people were arrested in a deadly crash that left a mother dead and her young daughter badly injured, Tampa police said. 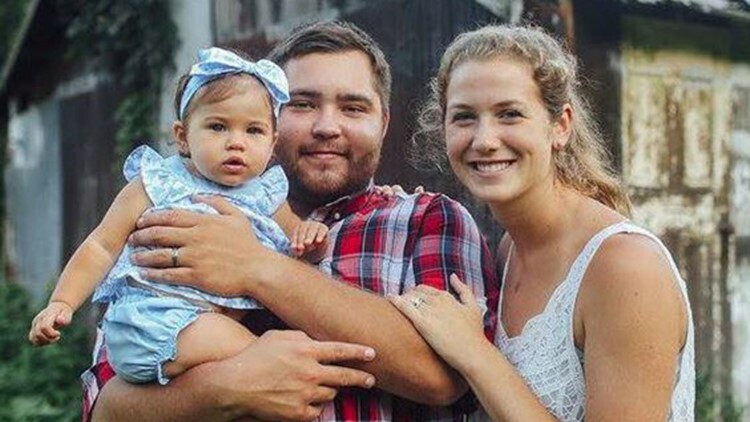 Jessica Raubenolt, 24, of Jeromesville, Ohio, was pushing her 21-month-old Lillia Raubenolt's stroller across the roadway when she was struck by a car and killed. The crash happened just before noon Wednesday. The child was in critical condition as of late Wednesday afternoon. Jessica Reisinger, right, was struck and killed on Bayshore Boulevard on Wednesday while crossing the road with her daughter, Lillia Raubenolt. Arrested were 18-year-old Cameron Herrin, 20-year-old Tristan Herrin and a 17-year-old. Tristan bonded out of jail Wednesday night, Cameron was released from jail this morning. In addition, the 17-year-old no longer is in jail. Brothers Cameron Herrin, 18, and Tristan Herrin, 20. “I heard the screeching, heard the cars hit,” said Jack Berres, who could hear the accident from inside his apartment on the 16th floor of a nearby condo. Berres ran downstairs and saw the haunting images of a mother and her 2-year old daughter struck along Bayshore Boulevard. “I never want to see anything like that.,” Berres said. “And then you see the yellow tape, and carrying a baby, running a baby to an ambulance. "Just crazy stuff you don’t want to see." Just before noon, witnesses say the victim was trying to get across the road near Knights Avenue when two cars came speeding toward her in the northbound lanes. Investigators say a black 2018 Mustang, driven by Cameron Herrin of Tampa, was in the outside lane -- closest to the sidewalk -- and struck the victims. A gold-colored Nissan, driven by the 17-year-old boy, came to a stop next to the Mustang. Parents of the two young drivers were there to console them. Both were clearly shaken and upset. Neither left the scene. Police questioned both drivers at the scene of the wreck for hours. 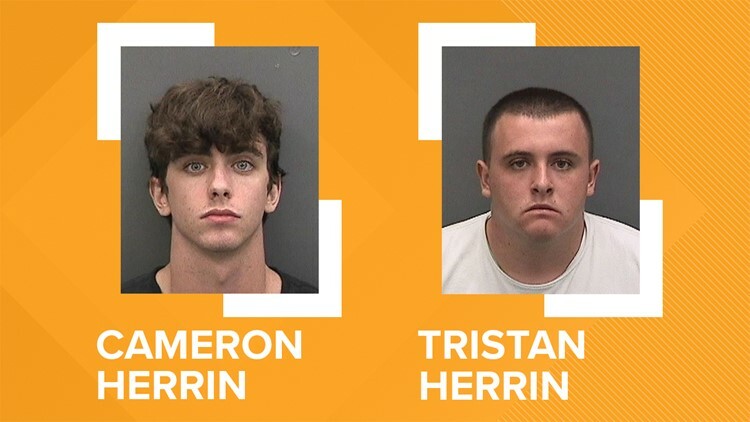 Later, Tampa police announced Cameron Herrin and the other driver were arrested and charged with street racing, vehicular homicide and reckless driving resulting in serious bodily injury. Tristan Herrin, the passenger in his brother's car, was charged with racing. Police say Tristan Herrin is being charged under Florida Statute 316.191(2), which says that it is illegal for a driver to engage in racing and that it is also illegal to "Knowingly ride as a passenger in any such race, competition, contest, test, or exhibition." There is no crosswalk in the section of Bayshore Boulevard where the collision occurred, but police say the victims were attempting a lawful crossing at a pedestrian ramp at an intersection. There is also no bike lane on the southbound side. “Watch for a gap, and take off,” is how residents like Frank Beaty say they get across the busy roadway. But that sometimes leaves Beaty and his dog Sadie scrambling. "You know, thinking I had plenty of room when something was coming faster than I thought,” Beaty said. Others who use the popular walkway say the speed limit might be 40, but that few drivers stick to it. There has been some talk of lowering the speed limit even further along Bayshore Boulevard or possibly reducing the number of lanes. Ideas which are likely to get more traction after such a tragic loss.